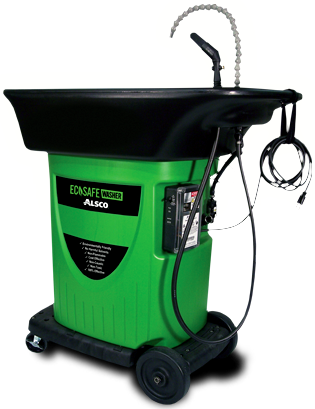 The Alsco Ecosafe Washer is a machine parts cleaning solution which uses a natural process called bioremediation to reduce the use of harmful chemicals. This means you can clean parts without breathing in harmful vapours or soaking your hands in dangerous hydrocarbons.How does it work? Get a no-obligation quote for your business... fast! THE SAFE, ECONOMICAL WAY TO CLEAN MACHINE PARTS. EcoSafe Washer combines three essential components: the EcoSafe Washer, the parts washer (with a powerful water-based degreasing fluid called OzzyJuice), and a microbe-impregnated particulate trap called OzzyMat. The EcoSafe Washer is safe to use, cost-effective, meets industry environmental standards and still cleans best-in-class. WHAT MAKES THE ECO-SAFE WASHER YOUR BEST CHOICE? 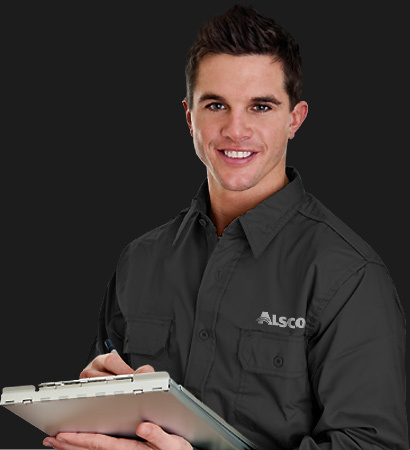 Alsco's rental program takes away the financial burden of capital outlay and depreciation, replacing it with a tax deductible service. The rental program operates on a fixed monthly cost giving you peace-of-mind. 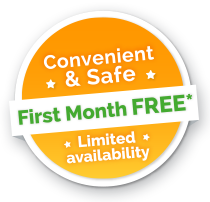 We'll visit regularly and ensure that the EcoSafe Washer is working perfectly for you, all the time. You won't be required to undertake any servicing or maintenance of the machine. 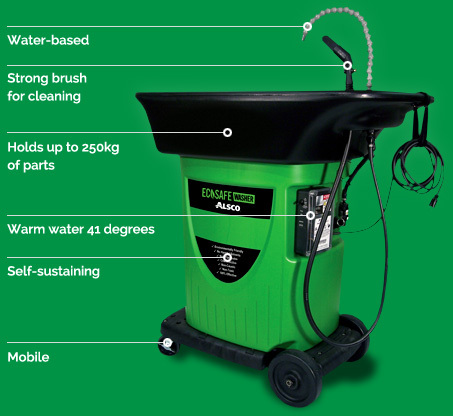 It’s the smart, economical and hassle-free solution to to cleaning oil and grease off mechanical parts without harmful solvents.